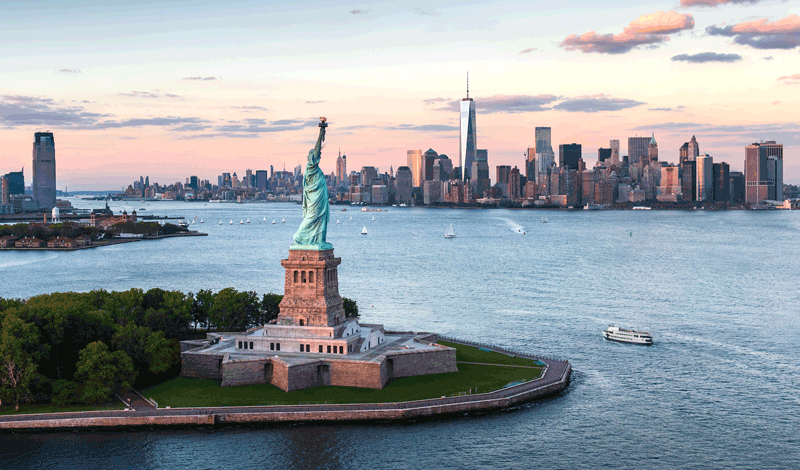 The World Molecular Imaging Society will have its 9th Annual Congress on September 7-10, 2016 in the Javits Center in New York, USA. 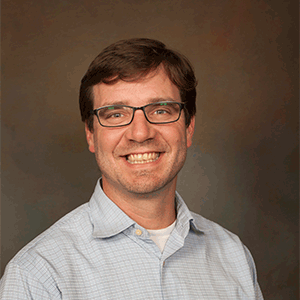 The theme of this year’s meeting is Imaging Biology…Improving Therapy. 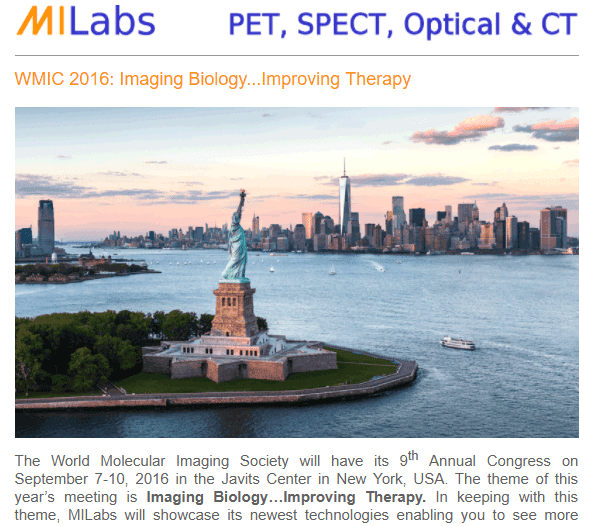 In keeping with this theme, MILabs will showcase its newest technologies enabling you to see more when imaging biology and therapy. 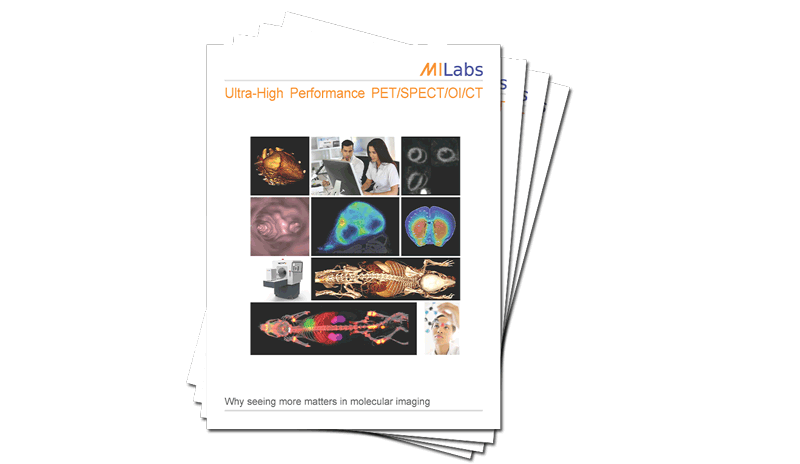 With its exclusive ultra-high resolution imaging technologies implemented on a scalable quad-modality preclinical platform and a clinical G-SPECT system, MILabs’ imaging products improve interrogation of complex biological systems and early-stage theranostics.